SUMMERLIN HOME ON THE GOLF COURSE. LIVE THE COUNTRY CLUB LIFE STYLE. THIS HOME HAS BEEN COMPLETELY REMODELED AND FEATURES DINING, LIVING ROOM AND KITCHEN/GREAT ROOM. BEDROOM SUITE ON THE 1ST FLOOR THE 2ND FLOOR SHOWCASE A GREAT MASTER W/BALCONY OVERLOOKING THE GOLF COURSE & GOURGEOUS SUMMERLIN MOUNTAINS. HIS & HER CLOSET, LARGE MASTER BATHROOM W/ TONS OF NATURAL LIGHT & MUCH MORE! 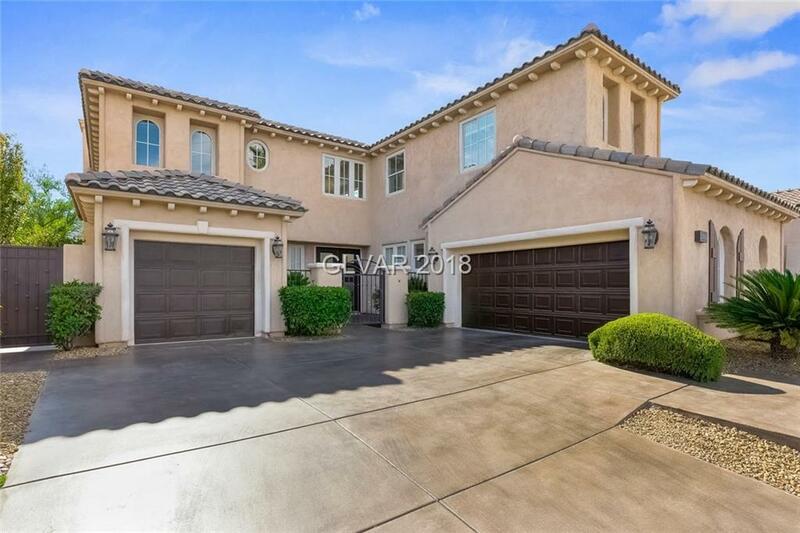 MUST SEE THIS REMODELED HOME IN RED ROCK COUNTRY CLUB. BEST BUY! Directions: 215 & W Sahara, W On Sahara, Left On Red Rock Ranch Road, Left Into East Gate. Follow Red Springs To The Property On The Right.